This is a sponsored by Global Influence. All opinions are 100% my own. We have finally been having some beautiful Spring days in New York City so I officially put my winter hat away! Gone are the days where I can hide my hair behind a hat so it's time to repair the damage of the winter from the extra cold brittle weather and the dry indoor heat. CVS is my go-to for beauty and hair products so I was on the search for something heavy duty to take my hair out of the winter season. I was pleased to look at the Premium Hair Care section to see an entire selection of Nexxus products. I remember when my hair stylist used Nexxus products on my hair for the first time and it really made a difference on how nice and healthy my hair looked. I learned about a year ago how important it is to use the right products so I started splurging on better products that actually worked and helped my hair maintain a healthy look for a long time. As a first time mom to a very socially active toddler I don't have time to do my hair everyday. 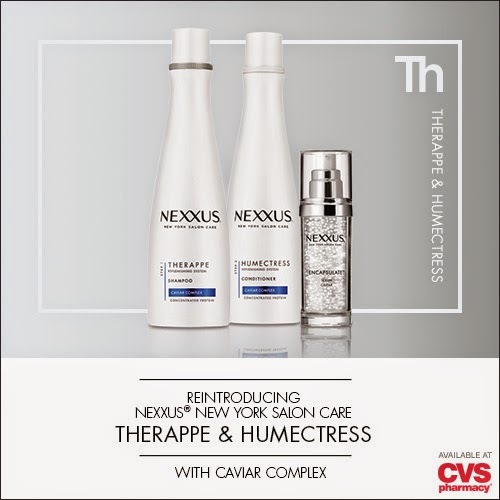 The Nexxus Therappe Shampoo & Humectress Conditioner available at CVS is the perfect way to pamper and spoil your hair. These products are newly reformulated and come with a variety of regimens for different hair types. 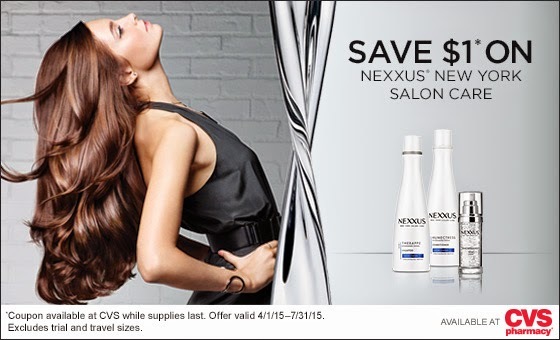 From now until 4/26 you can go to your favorite CVS and receive a coupon for $1 off (while supplies last) on any product from the Nexxus NewYork Salon Care (excludes trial and travel sizes). 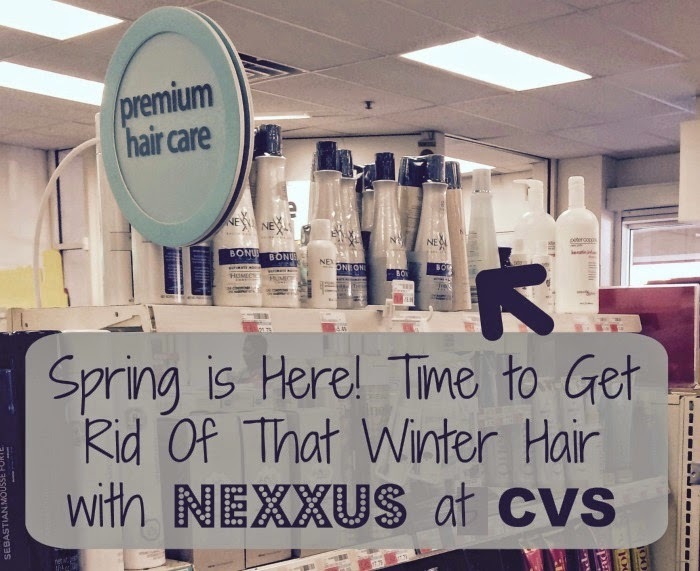 CVS Beauty consultants will also be there to meet with you and show you which of the Nexxus New York Salon Care products are best for your hair type and style. Click on the link to find a CVS near you. Before I started getting keratin treatments, I used to use this shampoo and conditioner all the time. It's a great brand! When I was growing up this was the only brand my mother used on my hair! I still love it! I am so glad that CVS carries it! My hair has really taken a beating along with my skin this winter--it has been brutal in and around NYC!! Will have to go and talk to one of these consultants and see what they suggest. I dont think I have ever used Nexxus,I've heard great things about it though. I'm excited to try some of that line. I haven't used Nexxus in too long, and I remember it as being really great! I need to do something with my hair, it is driving me crazy! My mother has been using Nexxus for years. It's great now that your don't have to go to the salon to get them! $1 off is a good deal. Thank you for sharing. I like Nexxus. That's a great deal! I haven't used Nexxus in years but they are GREAT products. Definitely worth the splurge!